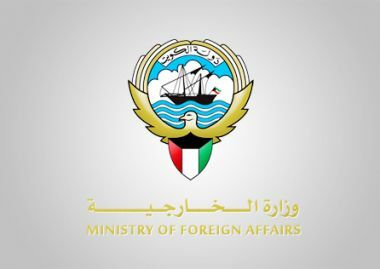 Kuwait-- Kuwait followed with concern the latest development of relations between Saudi Arabia and Canada, stressing its firm position rejecting interference in the internal affairs of states and respecting their sovereignty in line with international charters and norms, a Foreign Ministry source said Tuesday. 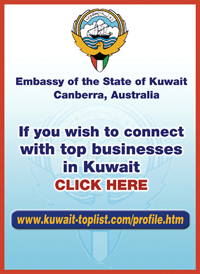 Kuwait remains hopeful that the two countries would be able to work out this position, the source added. Saudi Arabia has suspended diplomatic ties and new trade dealings with Canada in response to Canada's call for the release of whom it called "women's rights activists" in the kingdom. Riyadh has also declared the Canadian ambassador to the Gulf state "persona non grata", ordering the diplomat to leave the country within 24 hours. Amman-- Jordan on Tuesday confirmed its backing of Saudi Arabia on their stand and refusing any interferences in its internal affairs. Jordanian News Agency quoted Information Minister and Government Spokesperson Jumana Ghunaimat as affirming support to Saudi Arabia and Riyadh's right to implement their laws and regulations. Ghunaimat asserted Jordan's respect of sovereignty of states and the principle of non-intervention in internal affairs, emphasising Saudi Arabia's political and legal rights to maintain its security and stability. The Saudi authority's large scale reforms are honoring its people's aspirations and serve the interests of the Arab and Islamic worlds, added Ghunaimat. Saudi Arabia on Sunday recalled its ambassador to Canada for consultation and declare the Canadian ambassador in Saudi persona non grata, giving him 24 hours to leave, after the Canadian Foreign Minister and the Canadian Embassy in Riyadh issued a statement over what it called civil society activists that have been arrested in the Kingdom, and urged the Saudi authorities to release them.